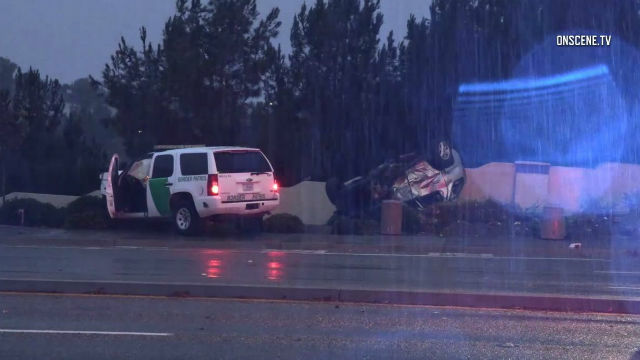 A woman was killed early Tuesday morning in a crash with a Border Patrol SUV on Otay Lakes Road in Chula Vista. A videographer at the scene said the woman’s car was apparently broadsided and thrown into a wall. The accident occurred at 12:30 a.m. at the intersection with Hunte Parkway. A Border Patrol agent suffered minor injuries and was hospitalized. The Chula Vista Police Department is investigating the accident.